Michael Maas married Johanette Herz in Gau Odernheim in 1809. They had eight children. 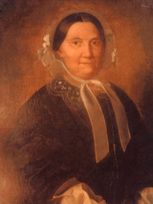 Abraham, their oldest, married Babette Straus, sister of Sara Straus, in about 1840. Abraham and Babette had nine children. Many of their descendants remained in Europe and perished during the Holocaust. Fortunately, those who survived and came to the United States have graciously shared their family stories and photos. 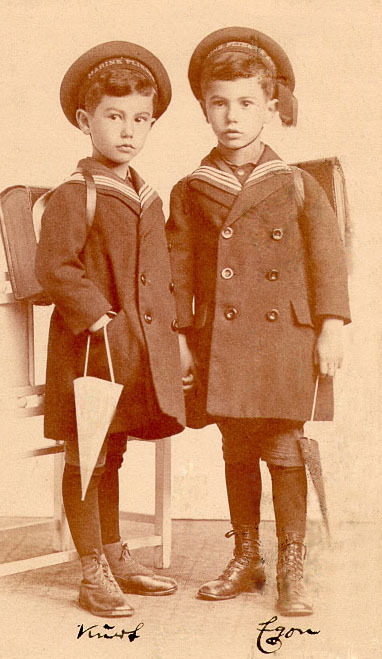 Karl and Emil Maas, grandchildren of Abraham and Babette, were sent to New York where they worked at Macy's until World War I. When Emil presented himself at Macy's, the personnel manager asked what he could do. He said he spoke three languages fluently, French, German and English. Emil was put to work in the Foreign Department. Emil's son worked for New York State in Housing Administration and credits Roger Williams Straus with writing the letter of recommendation that got him the interview for his job. He also remembers his parents being invited to dine with Nathan and Lina twice a year and regularly with other Strauses. Sally Werner Maas, another grandchild of Abraham and Babette, was the only one of his siblings to go to college. 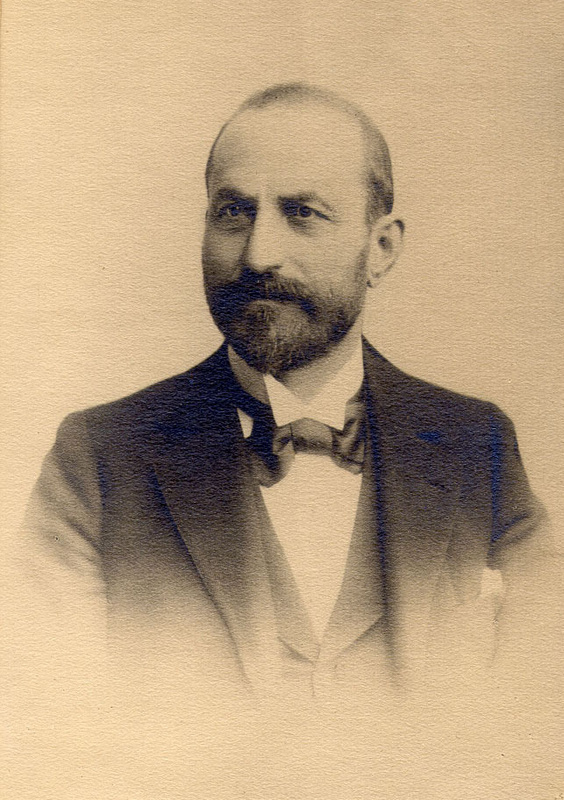 He became a lawyer and was a Superior Court judge for arbitration and commercial cases until he met Lotte Neumann of Berlin. Her father had an established corset and brassiere manufacturing company there. Sally gave up his law practice to go into business with his father-in-law. He and Lotte had twin sons, Egon and Kurt. Egon studied economics in college. Kurt studied law. They were forced to leave school in 1933 when Hitler began making laws restricting the activities of Jews. Kurt went to Paris and Egon went to England to continue their education. Werner and Lotte were about to leave when they were arrested. They were put in a concentration camp near Berlin. When they were released they moved to the South of France. Under the Vichy Regime all Jews were arrested. Kurt had to volunteer for the French Foreign Legion in order to obtain their release. He shipped off to Africa while his parents went to Portugal. Although Egon applied for English citizenship in 1942, he still had a German passport. He was arrested and transported to the Isle of Mann to a prisoner of war camp. Egon was released and came to America in 1942. Sissie Straus Lehman sponsored Egon. In America, Kurt went to work for Lily of France. Egon worked for Maidenform. Abraham and Betty Maas' second child was Henrietta Maas. 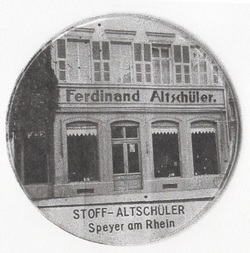 She married Ferdinand Altschuler who had a dry goods store in Speyer. Henrietta and Ferdinand had five children, Eugenie, Maximilion, Coelestine, Lina and Julius. Eugenie married Berthold Julich in Osterfeld. They had three children, Suzanne, Alice and Meta. Berthold died two years after Meta was born and Eugenie married Guglielmo Weinberger a bank director, art collector, gifted artist and linguist. They had one son Walter. During the war, Clara Kohns tried to bring Eugenie and Guglielmo to America. In November 1939, Guglielmo wrote to Clara Kohns, " I have to express my deep felt thanks to you .... for all the wonderful deeds you have already performed for my children and now extend the same for us old folks. How can we ever repay this great debt since we have been stripped of our honor, human dignity, our roof, our wealth, and homeland? You are certain of God's blessings and we hope that we are still able to shake your hand in the land of the free." Guglielmo died in 1941 and Eugenie was deported to Theresienstadt in 1942 where she died. Maximilion married Suzanne Altschul. His first job was selling girdles for Werner Maas. During the Spanish American War, Max came to New York and began working for the Strauses. In 1899 he returned to Speyer where he started a glass and porcelain export business with L. Straus & Sons. In 1934 he wrote an application for his younger son to be accepted at a trade school in Carlsbad to learn the porcelain industry. Max stated that he had been employed by the "world renown company Nathan Straus & Sons." The Altschulers applied for admission to the United States in 1939. The family was issued exit visas thanks to Clara Kohns, who interceded on their behalf. They left on the "Georgia" July 30, 1939. Within months of their arrival both sons were inducted into the US Army and served their adopted country during World War II. The oldest son became an accountant. The younger worked as a ceramics engineer. Both settled in the Philadelphia area. Lina was deported to Gurs concentration camp where she died despite the diligent efforts of her family to liberate her. After the war, Julius went back to Germany. He ran the family's dry goods store in Speyer. The sixth child of Abraham and Babette Maas was Rosa who married Leopold Blum of Weitersweil. They had five children: Laura, Alice, Paula, Eugenie and Adele. Eugenie married Nathan Bijur and immigrated to the US. They lived in Long Branch NJ. The Bijurs are described as a devoted couple who lived a perfectly elegant life. They stayed in touch with the family, often dining with the Maases or inviting family down for weekends at Long Branch.